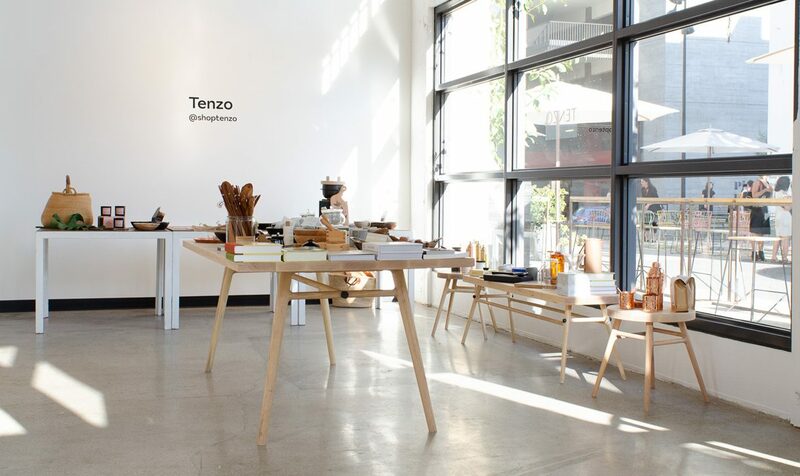 The Bough Collection is on display this weekend at the Tenzo pop-up for the Los Angeles Design Festival at the Row DTLA. This is the first public showing of the collection in Los Angeles. Japan’s Sashimono tradition, playing on the tension between the heavy slabs of wood and the slender, sculptural legs. The L.A. Design Festival runs June 7 to 10 and includes over 100 events and installations. The Row DTLA in the Arts District is a central hub for the festival with dozens of workshops, installations and pop-ups.